Ibrahim Khalil Shihab Quartet exuded history, texture, and good ole acoustic jazz at District 6 Museum’s Homecoming Center last Friday evening, 27 May. Having cruised the south Pacific Ocean, I find Irving Berlin’s “How Deep is the Ocean” rings a familiar sensation about what ‘unfathomable’ means, like true love, which is what makes this song rich and textured. The brilliant artistry of pianist Ibrahim Khalil Shihab does just that for 24 minutes in his solo piano album, ‘Solo Piano’, cut in 1999. Known as Chris Schilder of Pacific Express in earlier days, and who converted to Islam in 1975, this Capetownian is no less magical in his musical renditions now. With his fellow team members named below, 70 year old Shihab wishes to revive himself with both established and younger musicians in South Africa. 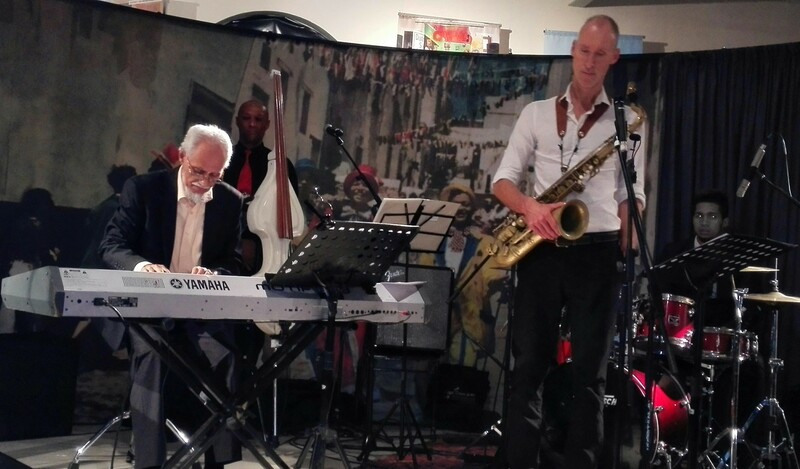 Friday’s concert portrayed an extremely gifted and powerfully alert pianist who excels at improvisation and message. His Scarlotti-styled runs in some pieces reverberated throughout the well-packed hall. Even without an acoustic grand piano which he would prefer, his two electric pianos which admirably served for the evening’s performance managed to do justice to his messages. Indeed, Friday’s offerings (promoted by Classic CT) presented 20-year old drummer Liam Webb, formerly from South Peninsula High School jazz band and soon to attend UCT’s College of Music, in his first jazz gig. A student at CMI, Webb displayed confidence and humility during the performance as he was occasionally mentored by Beukes and Shihab. 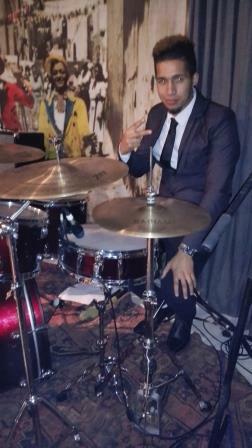 Webb was allowed a drum solo in a Shihab piece, “Pursuits”, which Webb pulled off in clean pizzazz. Another generation later was Buddy Wells whose tenor and alto saxophones provided impressive, clean, and consistent accompaniment to Shihab’s piano runs. The varieties of songs this Quartet played wooed the audience with classic standards, like the whimsical “When You Wish Upon a Star”, with Buddy’s smooth slides in tone. Shihab originals gave tribute to another legendary don, the late Winston Mankunku, in “Spring”, and to elder Chinese people exercising in a Shanghai park across from where Shihab and Beukes worked at the Hilton Hotel. The concert ended fittingly with a fast-paced “Bo-Kaap”, another original, which showed everyone’s skills. 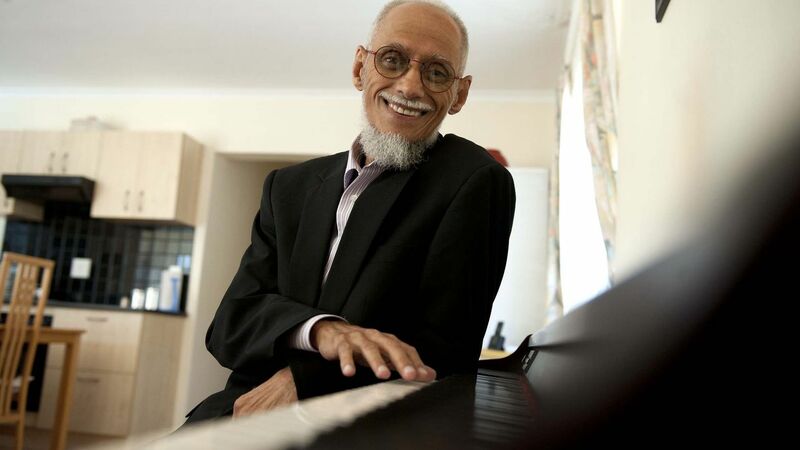 Shihab is well on his way to performing and, in the near future, recording his pile of compositions which he let to lay for so many of the rainbow nation years. We can look forward to more mastery from this legend as concert halls gear up for more acoustic jazz performances. A new era to be launched? ?